Vancouver real estate is a lot cooler than last year, except in the condo market. Numbers from the Real Estate Board of Greater Vancouver (REBGV) show that condo prices printed a new all-time high. This climb came even though the growth in inventory is beginning to outpace the growth of sales. The price of a condo printed a new all-time high across the REBGV. The price of a “typical” condo reached $655,400 in December, a 1.11% increase compared to the month before. That brings the 12 month increase to 25.89% higher than the same month last year. For context, the $7,200 single month increase in December is more than a month of pay for the median family. This sets a new all-time high for the benchmark price across Greater Vancouver. Condo sales are rising in Greater Vancouver. REBGV reported 1,028 condo sales in December, a 31.8% decline from the month before. Compared to the same time last year, this is a 12.34% increase. It’s important to remember that the monthly drop from November to December is a season decline, and typical. The annual increase is the important takeaway here. Condo listings across Greater Vancouver were up bigly. REBGV reported 919 listings in December, a 50.3% decline from the month before. This represents a 52.65% increase compared to the same month last year. Once again, the monthly decline was seasonal, and not really worth noting. The annual climb is interesting though, since it’s pretty big coming off of last year’s relative lows. The rise in inventory should have relieved some of the upward pressure on prices, but it didn’t. Sales did rise, but inventory saw an even larger increase. Despite this, the annual percentage increase to condo prices, is only slightly below where it was last year. Vancouver condo buyers are still very much bidding prices higher, despite other segments of the market being pretty sleepy. Vancouver is, and will always be where wealthy immigrants want to move. It’s Canada’s Gold Coast. If you don’t like it, move! Plenty of room and cheap houses in Alberta. Dear Daryl, the problem is the wealthy immigrants needs a clean city, safe, etc.etc. Usually the wealthy do not clean the street or the normal job makes a city livable. Also do you think the reach people likes to see the homeless numbers grow up and see them already in every corner of the city. If I would a wealthy man I start to look other place to move my family and the wealthy people move faster than middle class. This is being called the great rotation. Foreign buyers have begun dumping on desperate locals that see condos as the only way to make more money than they currently do at their jobs. People that are desperate for returns, usually end up chasing too much beta. There’s a reason portfolio managers, have started renting, while everyone that works in retail feels like a housing investment genius. That comment about portfolio managers, is that just from personal experience? Genuinely interested. The retail worker investment genius is very true from my experience anyways. Feels like a ponzi scheme everytime I talk to somebody who put the deposit down for their 4th presale condo using HELOC funds. Sounds like solid data there re: portfolio managers renting. Would you say that’s approximately 100% of them now in rentals? At the moment, those retail workers are doing quite well while the ‘renting is actually smarter’ crowd (seems to be a few here) of the past decade are demanding government intervention or playing chicken little. What is happening in the detached segment since the 15% foreign tax? I am not sure where the statistics came from. But as far as I can see here, Vancouver, condo inventory is actually down from a year ago. The article is not accurate. As of today, condo inventory is way down from a year ago. Prices will continue doing up. I went to open houses last weekend and the traffic is incredible. How do you know how many of the people at the open house are there to buy or are potentially seller to compare the place with the own ? I got a call from one of the realtor that one unit that I visited got multiple offers and the owner accepted an offer. Usually, inventory increases dramatically towards the end of Jan. The inventory is flat as of today, which is unprecedented. This year will be the year of no inventory, especially in condo and townhouse market. I went to an open house last weekend in a very highly sought after exclusive condo building downtown. Busy open house, clients with realtors but no offers. I was shocked. This type of unit would get snapped up in a few days pre-2010, let alone in this heated market. Market is definitely on the way down. Even locals are beginning to clue in that the market is turning. Houses have hit their peak and with all of this condo supply coming to market in the next few years, investors better pray this market holds up. I predict homes will be down 20-40% by next Christmas. 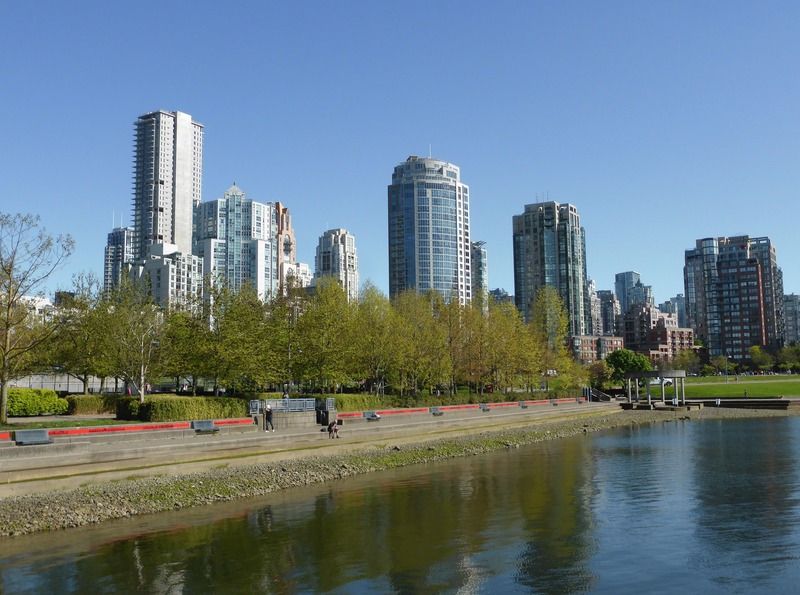 The best condo locations in downtown Vancouver are Coal Harbour, Yaletown, and the West End. All contained within a very small and finite amount of land, coupled with highly controlled zoning that ensures preservation of light and view. This means massive demand for very high end condos with ever increasing values. It is not difficult to know that for downtown Vancouver condos the sky will never fall, except in a 12.0 earthquake!